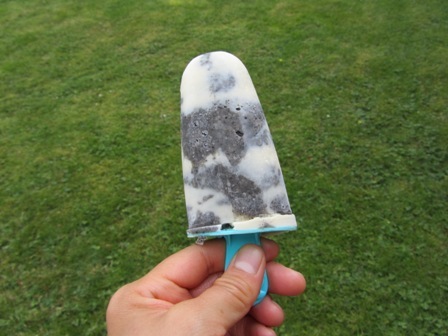 Black Sesame Soup….. nope black sesame popsicles. It has been a while since I have made something from my childhood. I remember those days when my grandma would make us some sweet soup. My favorite is black sesame soup. 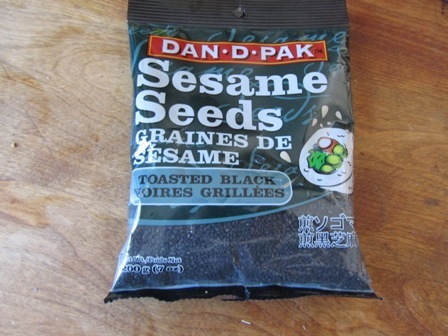 I just love the taste but I hate the black bits that get stuck in my teeth after you eat black sesame seeds. 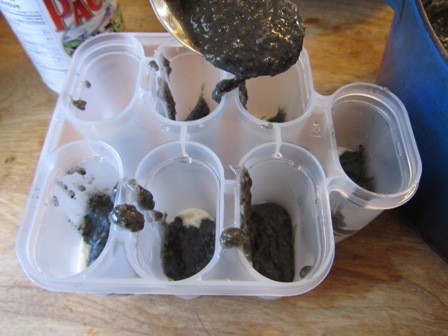 My grandma would make so much that we had to freeze the leftovers and make them into popsicles. 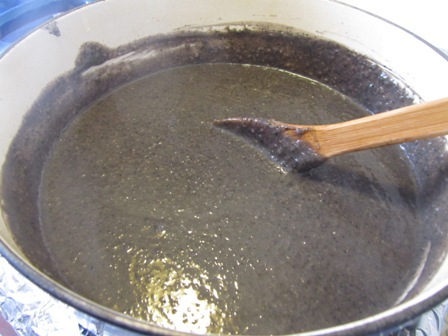 This is my first time making black sesame soup from scratch as I have always used packages I bought from T & T supermarket. This recipe I found is super easy and almost as quick as those store bought soups! Start off by soaking rice in water for about an hour. This will help soften the grains making a smooth soup. I only had broken rice in my cupboard but that’s ok since we will have to blend the rice any how. The recipe calls for toasting the sesame seeds but I already bought some that we already toasted. 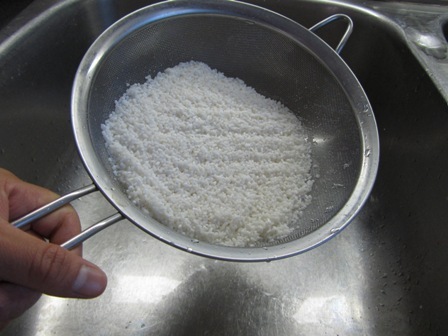 (Lazy) After an hour, drain and rinse the rice. Place in a food processor. 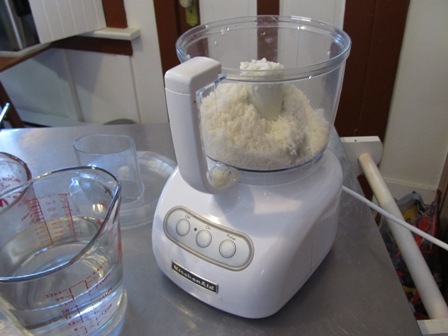 Blend the rice with about a cup of water until the rice grains are super fine. 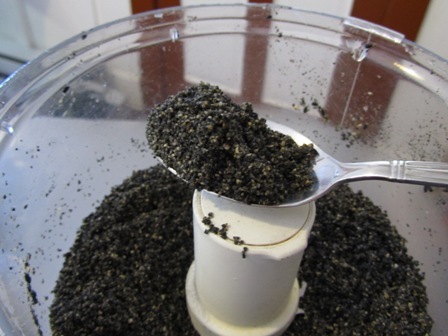 Rinse the food processor and blend sesame seeds until it is fragrant. 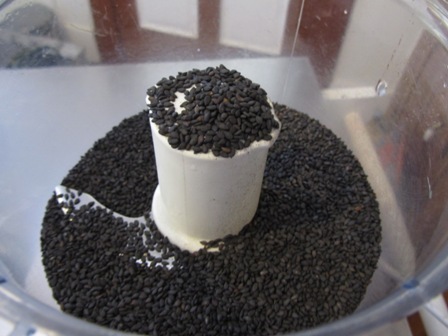 Slowly add about 1/2 cup of water until the sesame becomes a gray paste. 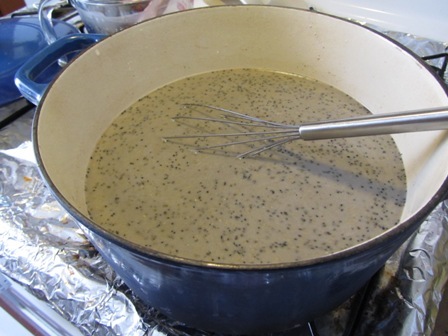 In a pot pour in the rice mixture, sesame paste, 1/2 cup sugar and remaining amount of water (to total 7 cups). I always reduce the amount sugar in recipes because I find them too sweet. (I actually added another 1/4 cup sugar since it wasn’t very sweet.) Bring the liquid to a boil. Turn down the heat and let it simmer for about 5 minutes until it thickens. Stir often as the rice tends to stick to the bottom of the pot and you don’t want this soup to burn. If you like your soups a little runnier, add some more water. I like mine thicker since I add evaporated milk to it. Traditionally my family serves this soup with evaporated milk. You can also serve with coconut milk if you can’t have any. You can have the soup hot or cold. I like mine cold on hot summer days and warm on cold winter nights. To make the popsicles cool the soup. 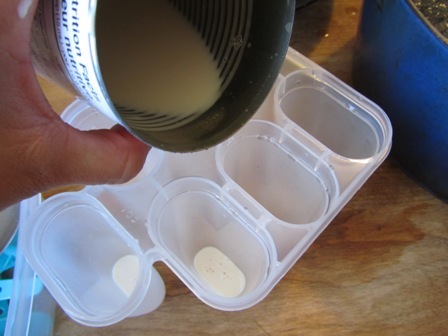 Place the soup and evaporated milk in the popsicle molds. You can layer them. 1. 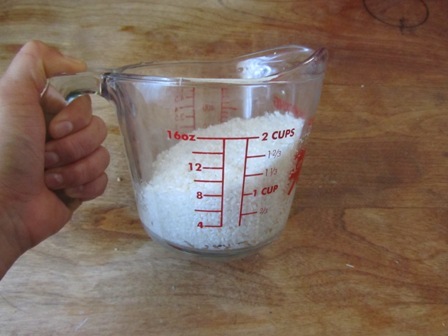 Soak the rice in cold water for at least 1 hour. 2. 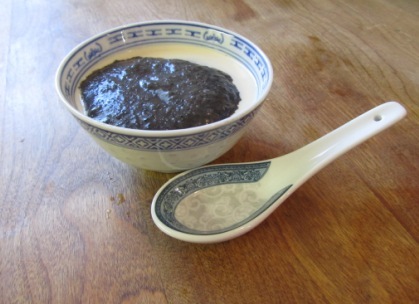 Toast the black sesame seeds in a frying pan on medium low heat for 1 – 2 minutes, until they are fragrant and the pan begins to smoke. Remove and cool. 3. 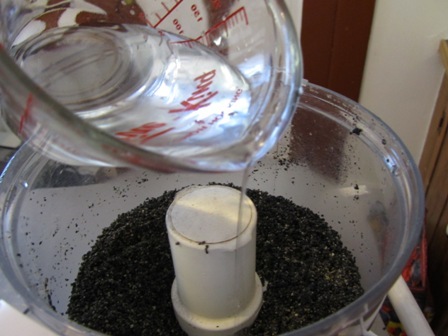 Drain the rice and add to a blender with 3 cups water. Blend until smooth. 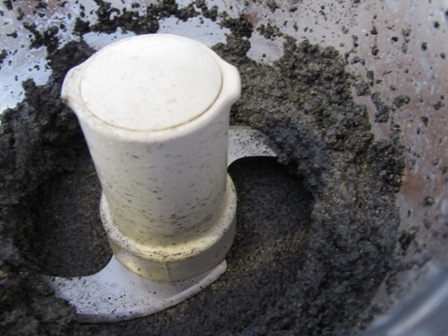 Remove and clean out the blender. 4. 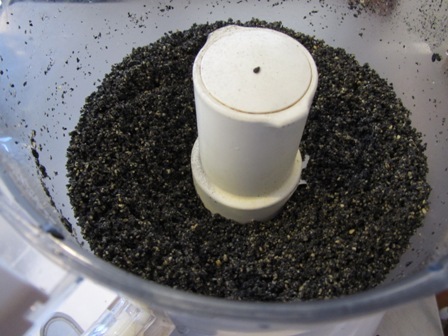 Grind the sesame seeds in the blender until they are fully ground and the sesame smell is very fragrant. 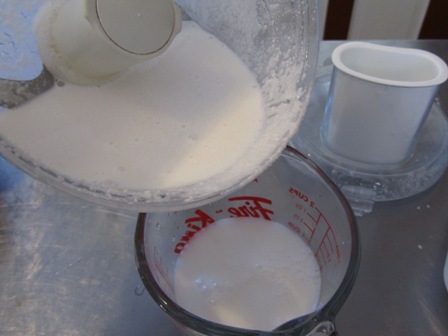 Add 1/2 cup water and grind briefly until the mixture forms a grayish paste. 5. 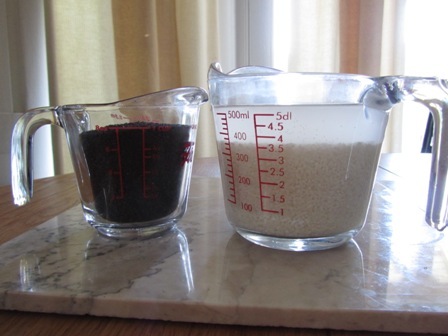 Add the blended rice/water mixture to the sesame paste and blend. 6. 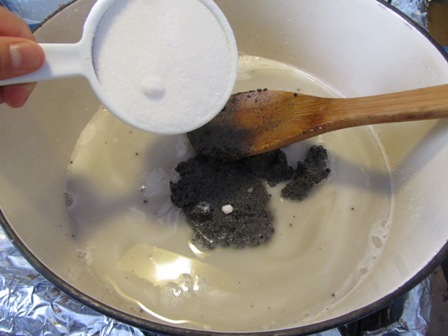 In a large saucepan, bring the mixture to a boil with 3 1/2 cups water and the sugar. As soon as it starts to boil, turn the heat down to low and cook until the mixture thickens, stirring constantly (5 – 8 minutes). Note: Be sure to stir constantly or there will be splattering and the pot may burn. Add boiling water to the soup as desired, depending on how thick or thin you want the soup. Serve warm.